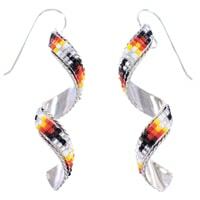 Native American tribes are perhaps best known for stunning beadwork. 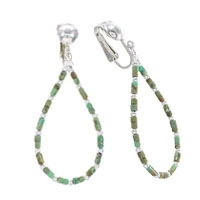 Indeed, long before the tribes of the Southwest were introduced to sterling silver, beads were the main material used for adornment and jewelry. 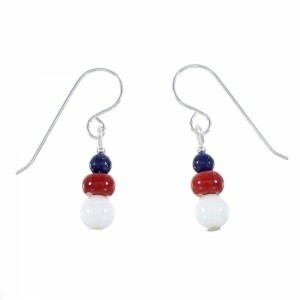 Today that tradition continues on the back of generations of innovative and beautiful bead making. 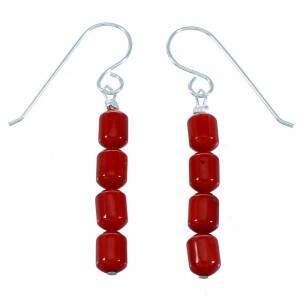 We carry a vast selection of bead earrings in a diverse range of styles and prices. 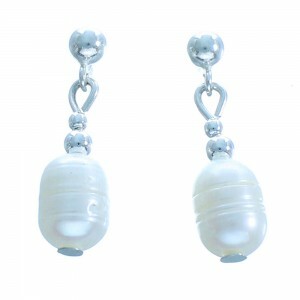 For hundreds of years beads have been used for ceremonial purposes and to mark significant life events, such as coming of age or marriage. 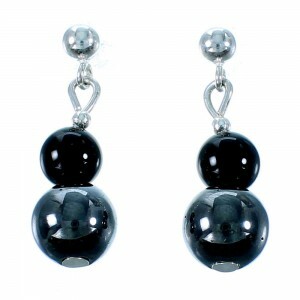 Many believe presenting beads made of certain stones will protect the wearer and ward off evil and bad luck. 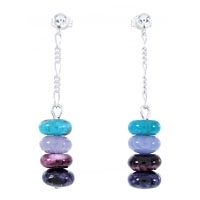 Of course, many of our customers choose bead earrings for the beauty and craftsmanship involved in making a colorful and vibrant product built to last for years to come. 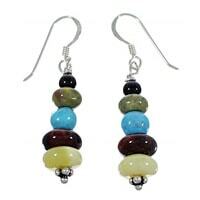 We offer bead earrings that feature turquoise, coral and onyx stone beads, to name just a few. 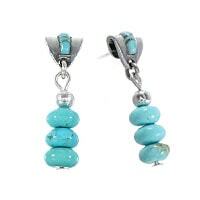 Our turquoise bead earrings are among the most popular varieties we carry. 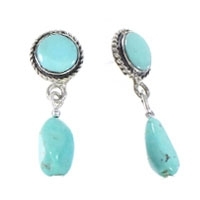 This versatile and stunning stone has been mined in the Southwest for hundreds of years and has long been a popular gift that symbolizes friendship and many tribes believe when turquoise is presented as a gift, the stone's protective qualities will transfer. 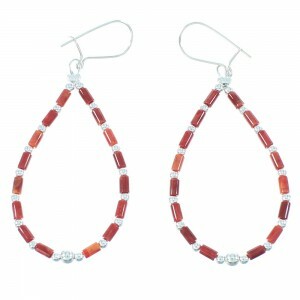 We also have expertly crafted Native American earrings featuring tiger eye stones set against the backdrop of shimmering and durable sterling silver. 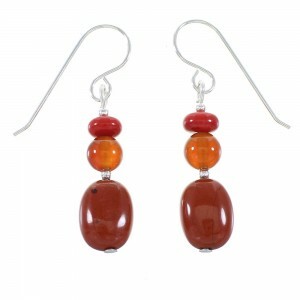 That particular stone bead is believed by many to protect against negativity while providing courage and a clear mind. 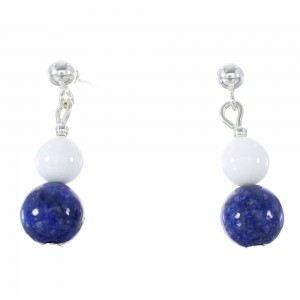 Whether you are inspired by the spiritual beliefs or style, we have a pair of bead earrings that will suit your taste. 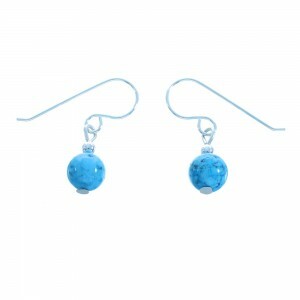 We carry simple elegant examples with a single bead perfectly formed and polished. For those with a flair for dramatics, who want to be noticed when entering a room, we have elaborate designs with beads hand-selected to highlight a diverse spectrum of colors. 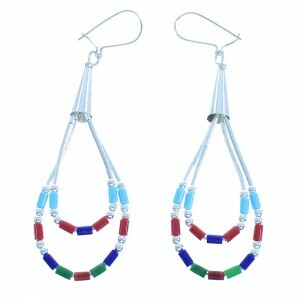 Every bead earring pattern is designed to highlight the heritage and craftsmanship of the tribes of the Southwest. 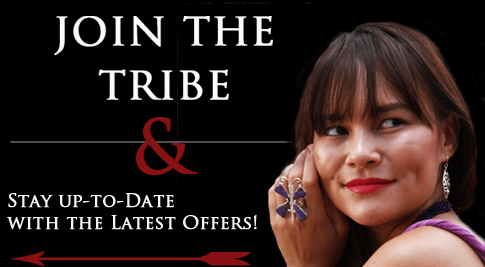 We work with some of the most talented artists in the industry to provide bead earring designs that reflect the styles of every tribe in the region. 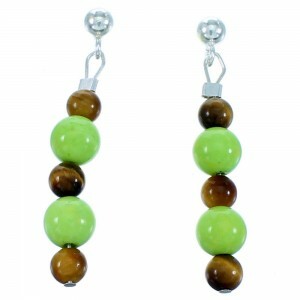 Check out our growing inventory to find the perfect bead earring to add to your collection. 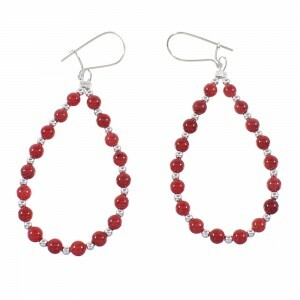 We strive to carry the widest range available to ensure our customers can always find a beautiful item to match any need. 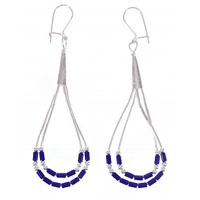 That selection includes hook bead earring designs or a hoop bead earring that is masterfully crafted to highlight the most beautiful beads found in the Southwest and beyond. 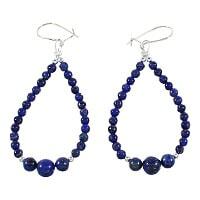 Don't settle for lackluster bead earring patterns when you can find authentic designs made by talented artists and sold to you at steep discounts. 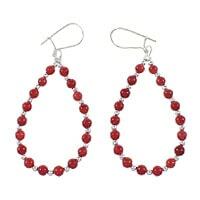 To make the most of your shopping experience, sign up for our email list and receive exclusive deals on bead earring patterns, sometimes before they even hit the website. At SilverTribe, we strive to ensure our products lead the industry in value, style and durability. 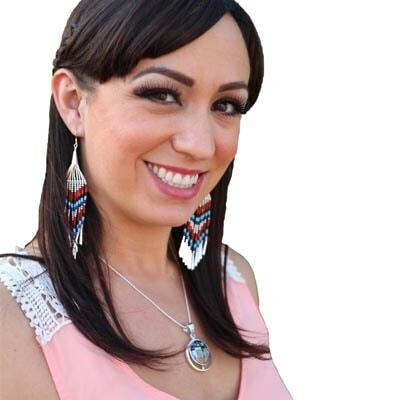 Come see why we lead the industry in authentic Native American jewelry and art.